Works on the principle of evaporation - The weight of the mist settling on the stainless steel screen turns off the solenoid. When the water evaporates, the ''leaf'' rises and the cycle starts over by again turning on the solenoid valve. Each Electronic Leaf is supplied with a 24 volt AC transformer attached with 20' of bell wire. Designed to be operated on 24 volt AC current. Prewired with 20' of 18-gauge two-strand bell wire for easy attachment to a 24 volt solenoid. L.E.D. signifies the solenoid is energized. Very easy to install - simply place on the misting bench, balance the ''Leaf'' and attach the wires to your solenoid valve (solenoid valve not included). 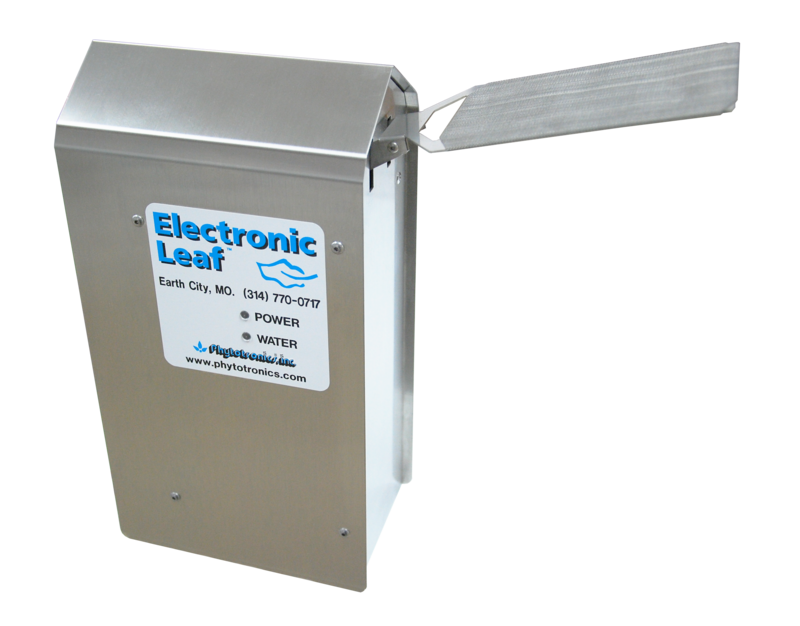 The Electronic Leaf housing is made of durable stainless steel. Leaf is adjustable to provide more or less moisture to plants or cuttings. Green LED light indicates power is provided to the electric leaf. Blue LED light indicates powers is supplied to the solenoid valve.